Technical Glass Products in Snoqualmie, WA started out reviewing the Resource Manager for Excel product line but quickly settled on Resource Manager-DB for multi user support, advanced production scheduling options, and easy integration with corporate ERP systems. Technical Glass Products (TGP) has been using RMDB for years for finite capacity production scheduling. They selected RMDB because of how it could quickly adapt to their operational flow as well as its ability to integrate with their in-house systems. This facilitated a rapid implementation time along with all users quickly embracing the system. 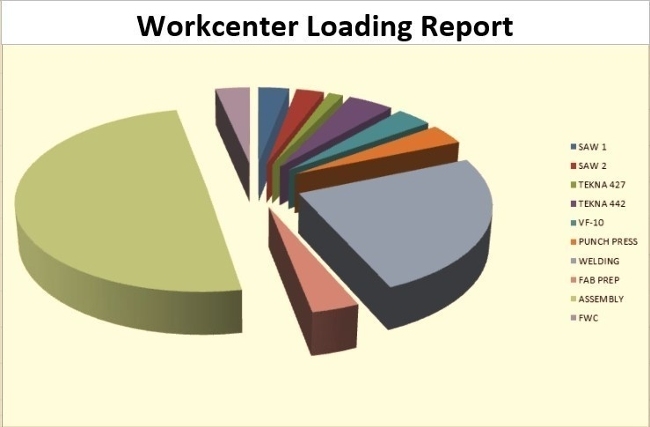 Recently, TGP noticed that their standards for task durations and resulting workcenter skill balancing had changed over time. They reached out to User Solutions to see how RMDB could be configured to include blending in new time studies, new product profiles, along with fluctuating workcenter capacities from a point in time moving forward, all the while preserving the actual tracking of schedule to date for historical analysis. Leveraging RMDB’s flexible configuration toolset, within only a few days of remote support, User Solutions was able to guide TGP through blending in new time studies with cross-trained skill demands, add that to their current production schedule and then run a variety of ‘what-if’ scenarios. This produced a realistic master production plan 6 months out, from which TGP confirmed their cross-training initiatives and rapidly redeployed current resources. By shaving off two weeks in lead time for deliverables, TGP was able to accommodate a 4% increase in business with the current workforce, while maintaining their customer service standard. Technical Glass Products in Snoqualmie, WA started out reviewing the Resource Manager for Excel product line but quickly settled on Resource Manager-DB for multi user support, advanced production scheduling options, and easy integration with corporate ERP systems. As Technical Glass was implementing a corporate wide upgrade to Microsoft SQL Server and Windows Server, they found many advantages in upgrading to Resource Manager-DB for SQL. These included: direct integration from SQL Table to SQL Table, automatic back ups, and enhanced security by having all their core systems on SQL Server.